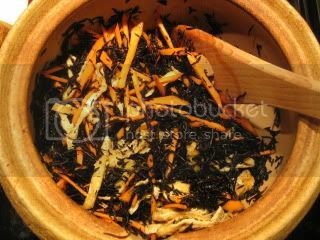 Just recently in one of American food magazines, I found a hijiki seaweed recipe, which was introduced as a spooky Halloween dish! So, I guess, because of the deep black color, hijiki would look kind of scary for American people? 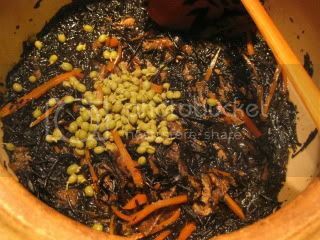 For us, Japanese people, hijiki is a very common ingredient and hijiki stew is one of the most popular comfort dishes. Hijiki not only tastes so good, but also it's so nutritious. It's a "superfood". 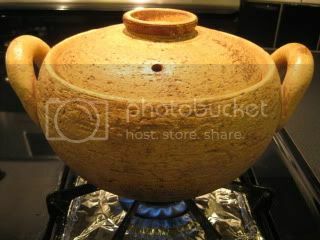 And, when hijiki stew is made in the soup & stew donabe, "Miso-shiru Nabe", it tastes even more special. The thick porous body of this special Iga-yaki donabe heats up slowly and distribute the steady heat gently, so the hijiki becomes deep in flavor and fluffy in texture. I first sauteed rehydrated hijiki (about 1 oz when it's dry), with 2 blanched pieces of sliced abura-age (fried tofu pouch) and 1 medium-size carrot in about 1T little sesame oil over medium+ heat. 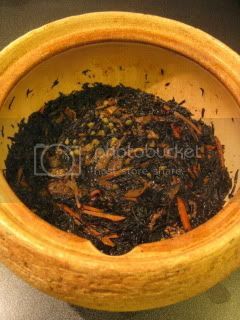 1-1/4C dashi stock, 2T brown sugar, 2T usukuchi shoyu (light-color soy sauce), and 2T dark color soy sauce were added and covered. Once it's almost boiling, turn down the heat to simmer. Simmer for about 25-30 minutes or until the broth is reduced by more than half. 2 tsp sansho (mountain pepper) berries were added (optional) and simmered for a few more minutes. Turn off the heat and let it stand for 10-15 minutes. My rustic hijiki stew was ready. It tasted so homy and delicious right after it was made. But, it tasted even better next day after all the flavors rested and integrated overnight. Hijiki stew can be enjoyed hot, warm, or cold. 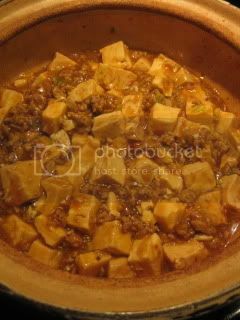 I also made my regular donabe mabo tofu with classic-style donabe, "Hakeme". Sooo good. You can find my basic mabo tofu recipe here.